Making quite a buzz at this year’s Sundance Film Festival was a series of animated shorts made for television and the web, of all things. 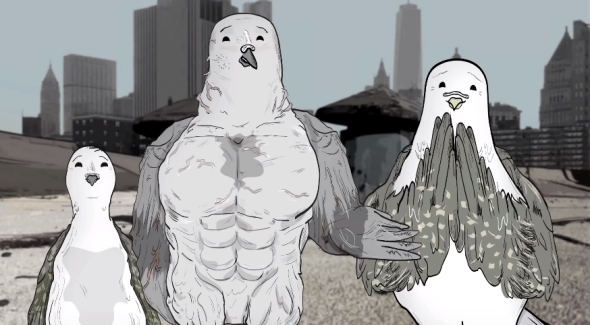 Animals is a black & white, minimally-animated series which “follows various New York City creatures as they get into awkward (and sometimes deadly) encounters with one another.” The series was created by Phil Matarese and Mike Luciano, two employees at a commercial production house who took some time off to make little animals talk to each other. Check out the Animals web site to see what the fuss is about.